A few years ago, we discussed rationing in Britain during WWI. 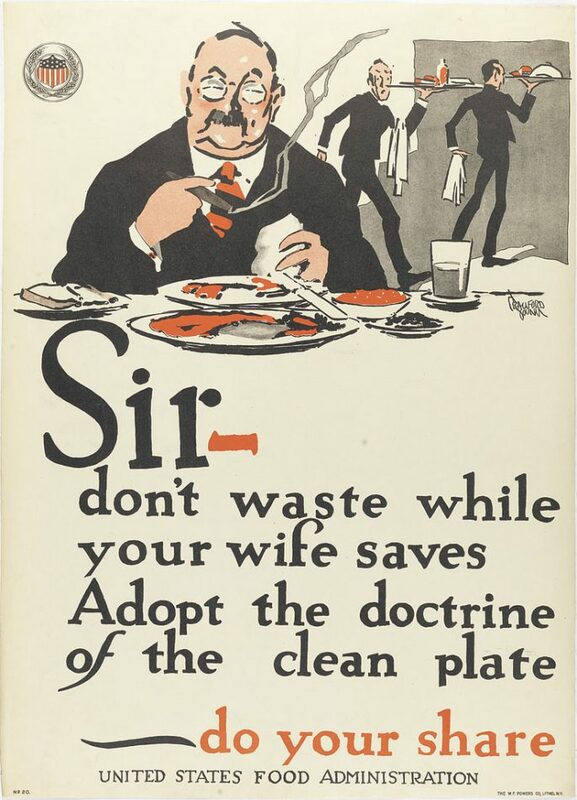 When the United States entered the war in April 1917, they had a model for conserving and preserving the foodstuffs and the Food Administration leaped to instruct Americans on how the war effort was hindered by wastefulness. As we in the U.S. approach the 100th anniversary of our entry into the First World War, I’m going to try a number of recipes from WWI ration cookbooks and share the results with you all!